Daryl Johnson (Worcester Park, United Kingdom) on 5 February 2009 in Documentary & Street and Portfolio. 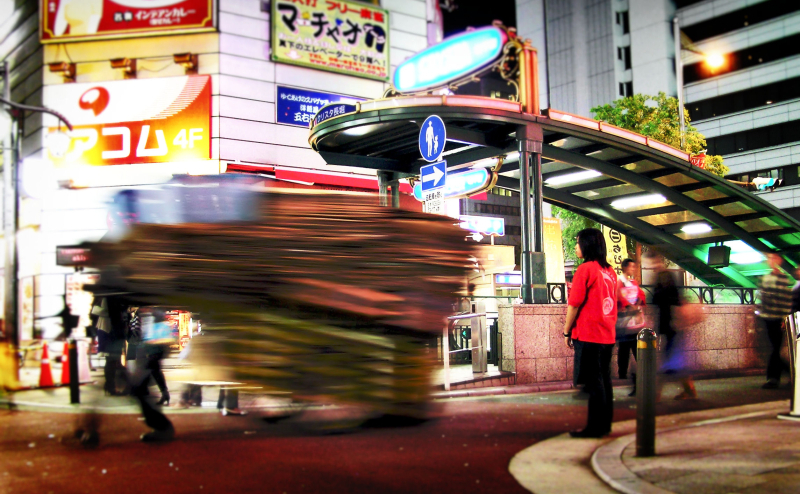 A man transports stacks of cardboard through the busy entertainment district of Shinsaibashi, Osaka. A great motion feel in it. The colours are superb! Wow Daryl ! , I like a lot this one. triple WOW! I love this. the motion you've captured is fantastic! I love the mouvement, well done! I think it's cool that the lady in red stood rather still as all the movement swirls. Great shot! I thought it was an apparition appearing...!